The Corkcicle Canteen Lemonade celebrates the spirit and resilience of those who live their life for the water. Made with a durable powder-coated finish, plus, all the features of the original Canteen. 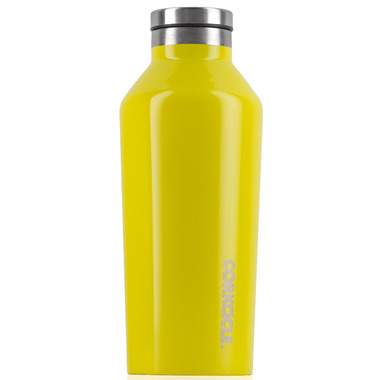 Crafted from stainless steel with proprietary triple insulation that will keep drinks ice cold for up to 25 hours or hot for up to 12 without freezing or sweating. Drinks containing ice will stay cold even longer.